Every coffee drinker knows the feeling they get when they have their morning ritual of a hot strong cup of coffee. Mmmmmm, just saying the word makes me smell it in the air; coffee. We all know the great benefits of coffee. But did you know that coffee has a life outside of being a tasty? It's true! Coffee grounds can continue to be useful after you've had your morning fix and can work in some interesting ways. So, save those beans and find unusual uses for coffee! Wouldn’t you rather smell coffee than two-week-old leftovers, half-rotten produce and spoiled milk? If your fridge is a nightmare of foul odors, place a bowl of fresh, unused coffee grounds inside and leave it for a day or two. The coffee will absorb the odors and you’ll crave a cup whenever you open the door. This odor-killing trick works for practically anything else as well – just place the item in a sealed plastic bag along with an open can of coffee grounds and bye-bye stank. Pricey cellulite creams almost always have one major ingredient in common: caffeine, which supposedly enhances fat metabolism, reducing the appearance of these fatty pockets under the skin. To make your own coffee cellulite treatment at home, mix warm used coffee grounds with coconut oil and rub it onto your skin in circular motions for a few minutes before rinsing. Garlic, salmon, cilantro – there are some things that smell delicious when cooking, but aren’t so pleasant hours later when they linger on your hands. Get rid of them by rubbing a handful of used coffee grounds on your hands and rinsing with warm water. There’s a reason so many gardeners swear by adding used coffee grounds to compost. The grounds are rich in phosphorous, potassium, magnesium and copper, they release nitrogen into the soil as they degrade and they’re a little bit acidic, which is great for certain soils. If you compost on a large scale, you can get used grounds for free at your local coffee hot spot or mom-and-pop cafe. Who doesn’t want shiny, healthy-looking hair? 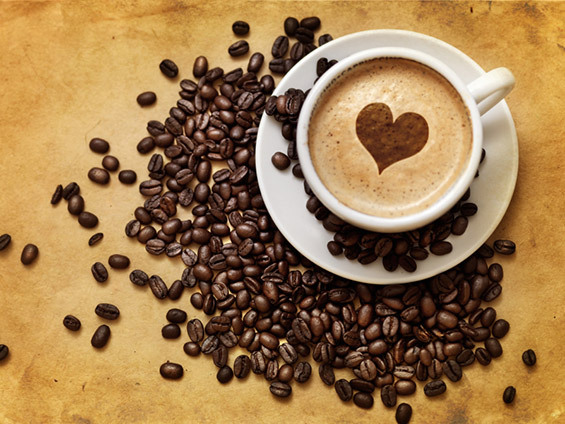 Coffee is often recommended as a simple, natural treatment to make hair extra-glossy. Brew up an extra-strong pot, let it cool and apply it to your dry, clean hair. Leave it on for at least twenty minutes, then rinse. Keep it up once a week or so for best results. The natural pigments in coffee make it a great natural dye for fabric, paper, Easter eggs – even your hair. Brush paper with strong brew and let it dry, or soak fabric items in hot coffee. The results won’t be color-fast, and may bleed out onto other items, so it’s best to use this on items that won’t be washed very often if at all. 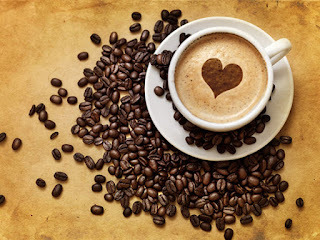 Using coffee as a hair shine treatment, as previously mentioned, may temporarily lend a rich, dark tint to your hair. Want to clean your fireplace without causing a dust storm? Wait until the embers are cool, sprinkle damp coffee grounds all over the ashes , let them sit for about 15 minutes and then scoop out the whole mess into a metal ash can. The coffee grounds cling to the ashes, so they don’t spew dust nearly as much as they would otherwise. Dried, used coffee grounds are the perfect filler for homemade pin cushions. Just wrap them in some scrap cloth, tie it off with a rubber band and place the cloth in an egg cup or other small container. The grounds will keep your pins from rusting, too. The same properties that reportedly enable coffee to reduce the appearance of cellulite can smooth and tighten your skin, and the texture of ground coffee will buff away dead skin cells, too. Make your own coffee-based scrub by combining a tablespoon of coffee grounds with half a tablespoon of olive oil and, optionally, a drop of your favorite essential oil.